In this module, you learn the material in A minor. Here's the music you learn to play - also in your lesson notes. 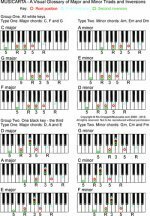 Because both E and A pentatonic minors are all-white-key pentatonic scales, the 'feel' of the material in A minor is exactly the same as in E minor. 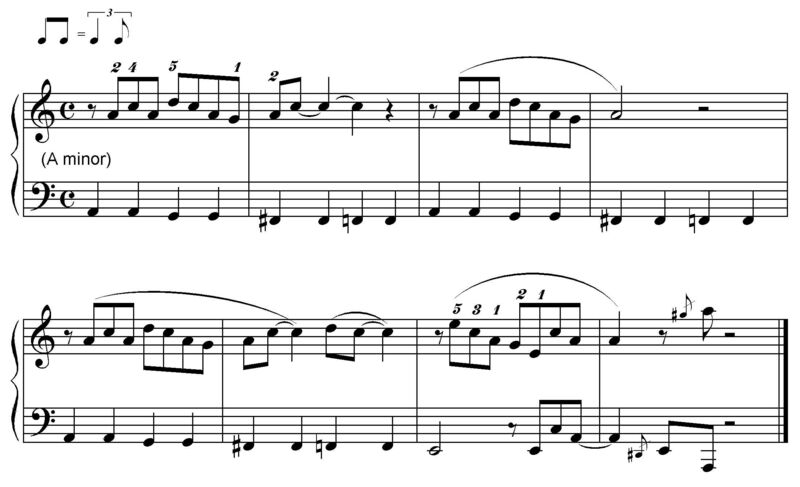 The five descending bass notes are exactly the same combination of black and white keys as in E minor, too. When you come to putting the hand together, be patient with yourself. No 'tut-tutting'! And hey presto! You can now play this little blues in two places - and in two keys! The music again, for your convenience. Next, we move smartly along to jazzing it up and stitching together our combined Em-Am-Em performance (next module).